Chef Tatung Sarthou’s ode to Philippine cuisine, “Philippine Cookery: From Heart to Platter” by ABS-CBN Publishing, was named "Best TV Chef Book Outside Europe” by the Gourmand World Cookbook Awards held recently in Yantai, China. 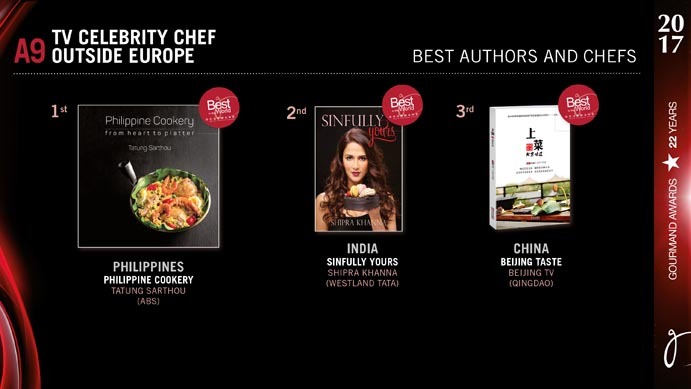 “This is the first book, and certainly not the last of the celebrity chef. 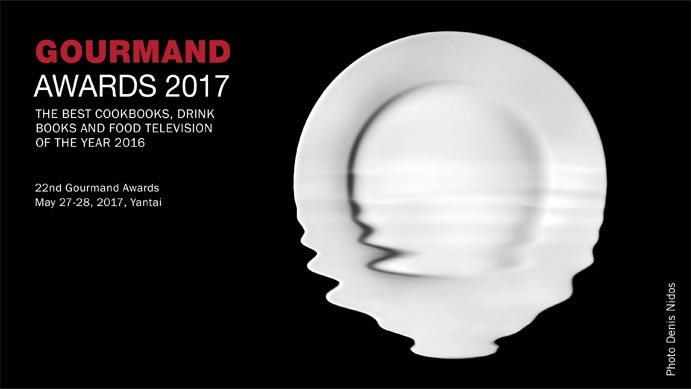 It is really good, interesting, useful and practical,” Edouard Cointreau, President of the Jury for the Gourmand Awards, earlier said of Chef Tatung’s book in a 2016 press release. 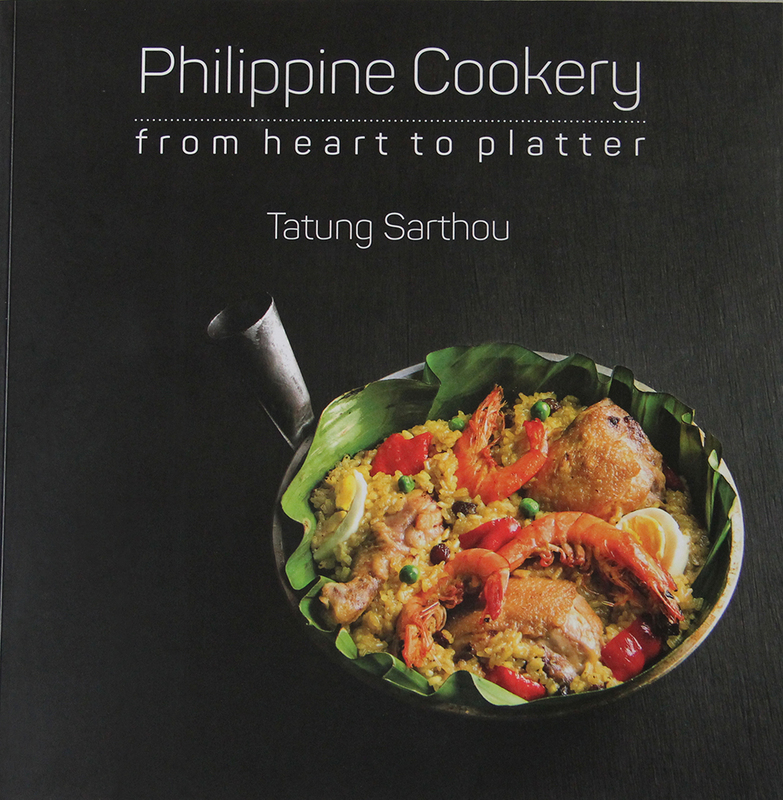 In “Philippine Cookery: From Heart to Platter,” Chef Tatung delves into the heart of his native cuisine by showing how to cook Filipino through ten fascinating chapters. 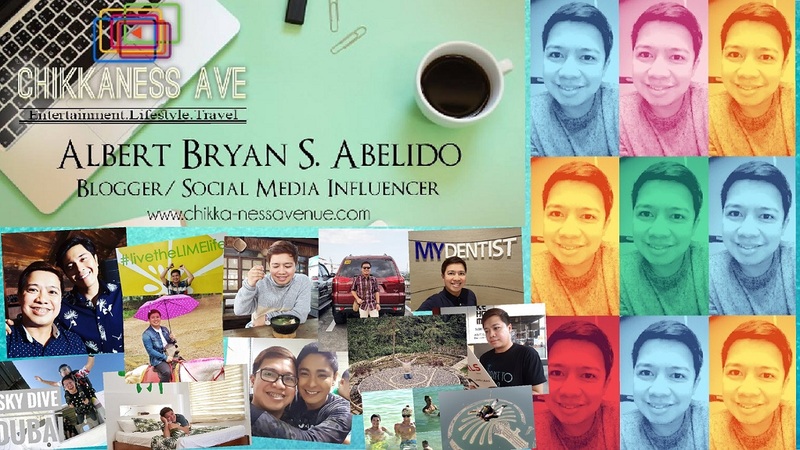 He teaches basic cooking methods—steaming, grilling, sautéing, frying, curing, among many techniques—as a way for readers to understand Philippine cuisine’s historical roots, and as a way to learn to cook it at home. Featured are 71 recipes perfected from Chef Tatung’s many years of research around the country. These include basics like tinolang manok, kare-kare, adobong pusit, as well as more unusual fare like bulanglang, piyanggang, at pinaupong manok sa asin. Throughout, he explores important ingredients like vinegar, coconut, rice, as well as traditional kitchen tools like the palayok or claypot, and bamboo tubes used for boiling. Chef Tatung frames his book with his own memories of cooking with his mother and grandmother, including a touching anecdote about how adobo saved his family during World War II. 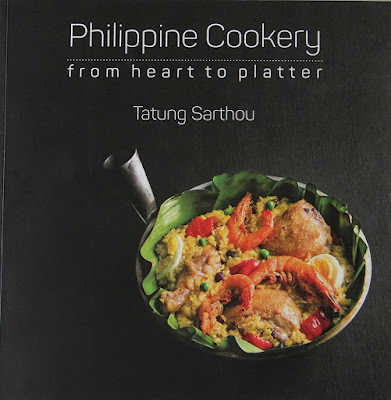 In this book, Chef Tatung believes that in order to cook Filipino, one must cook out of love, honestly and simply, without pretension. 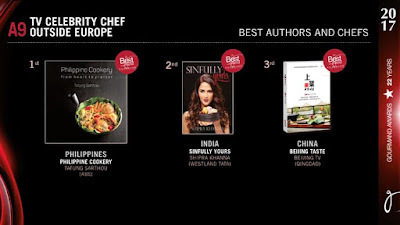 With its sleek design by multi-awarded book designer Ige Ramos and captivating photography by Paulo Valenzuela, “Philippine Cookery: From Heart to Platter” is more than just a cookbook. 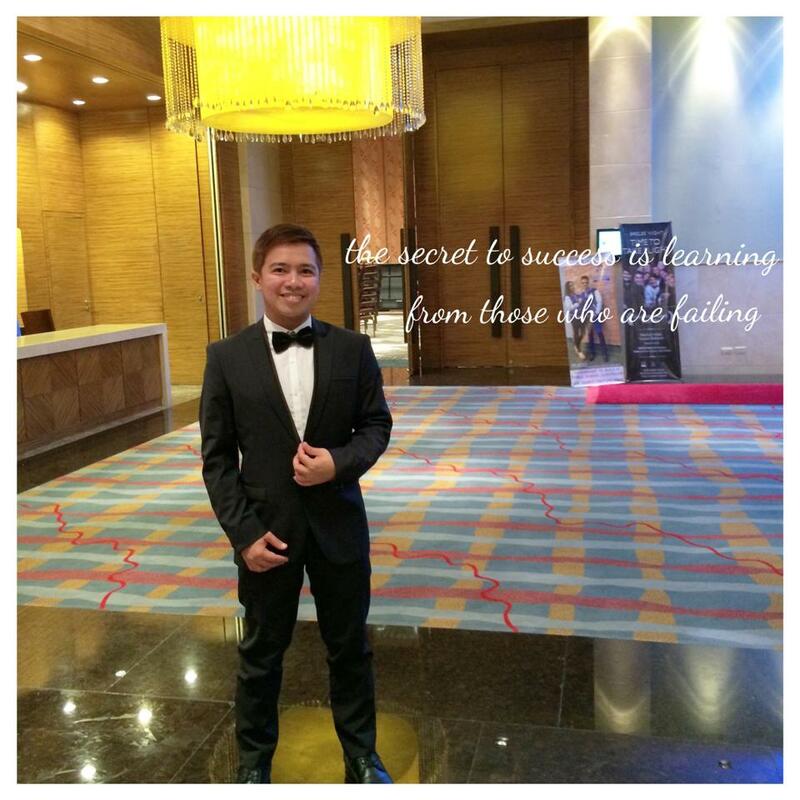 It is a heartfelt guide to helping readers discover their own love for cooking Filipino. 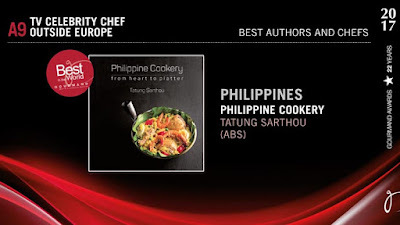 “Philippine Cookery: From Heart to Platter” is available at National Bookstore and FullyBooked branches for PhP595.